“It does not matter whether medicine is old or new, so long as it brings about a cure. Jen Hsou Lin, D.V.M., Ph.D.
...to Natural Healing Veterinary Care, Winnipeg's only complete holistic veterinary care service for companion animals. 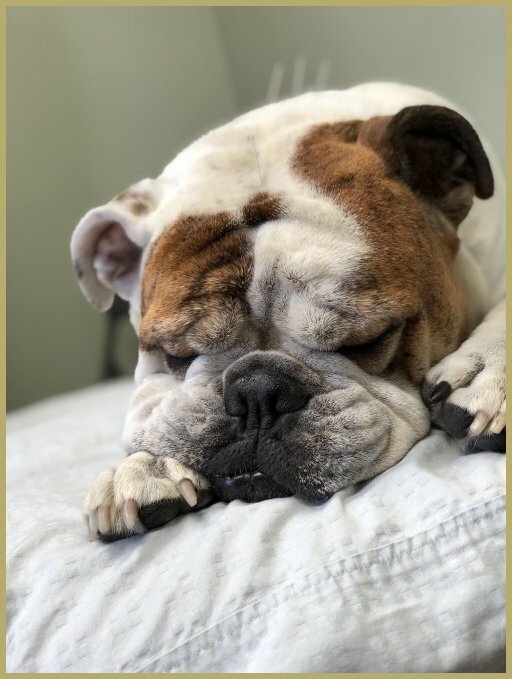 We help animals attain and maintain optimal health through acupuncture, spinal adjustments (also known as animal-chiropractic), physical rehabilitation therapy, Chinese herb therapy, Tui-na and food therapy. NHVC offers both in clinic and house call appointments. Our in clinic appointments are offered at Central Veterinary Services (located on the Perimeter Highway, 3 miles East of Oak Bluff), as well as WinRose Animal Hospital (534 St Anne’s Rd, Winnipeg), and Winkler Veterinary Clinic (225 1st St, Winkler) We provide services Southern Manitoba, and are open by appointment only. Please browse the site to find out about the staff, services, and treatment philosophy at NHVC. For more information, please call 204.487.7738, or email us at nhvetcare@gmail.com . You can find us on Facebook and Instagram as well.